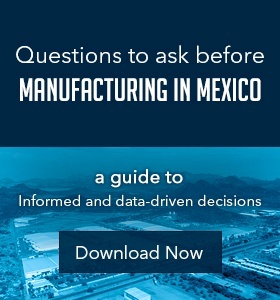 Growing manufacturing activity in Mexico, technological advances, and increased access to transportation have brought up environmental discussions, similar to others around the world. The implementation of environmental protection regulations is essential to modern-day industry changes in order to ensure a safe environment for future generations. When manufacturing in Mexico, environmental regulation laws are a crucial element to daily operations. Trade involving U.S. and Mexican businessmen is generally considered to have flourished as a result of the North American Free Trade Agreement (NAFTA), which took effect on January 1, 1994. After the enactment of NAFTA, trade between Mexico and the U.S. grew at such a rapid rate that by 1998, Mexico was the United State’s second-largest trade partner. The two countries continue to have a strong trade relationship 20 years later with an update of NAFTA in 2018. USMCA includes mandatory restrictions required by the U.S. Trade Promotion Authority. Although it doesn't reference the UN climate convention, it does mandate clean technology used for goods and services, along with carbon storage technologies and subsidies for over-fishing. USMCA also recognizes many international environmental agreements that have already been established. 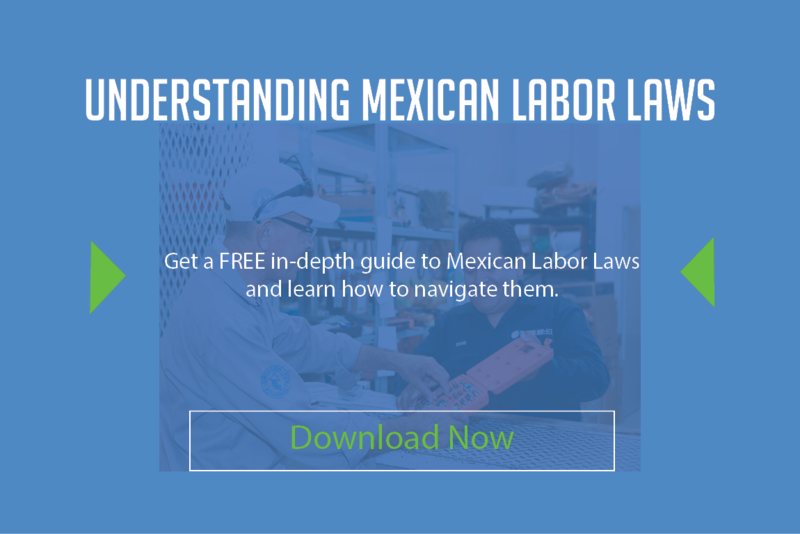 To understand the influence of the Mexican economic regulations, it is most important to know that Mexico’s legal system is significantly different from that of the U.S. in more ways than one.The U.S. follows a “common law” system and Mexico follows a “civil law” system. Common law in the United States can be traced back to its British roots, whereas Mexico’s “civil law” system has parts that have been traced back to pre-Columbian indigenous law. The significance between the two is that in Mexico, unlike the U.S. that recognizes the decisions of the court as creating law, provisions of the constitution surpass any legislation or regulations, and legislation succeeds any regulations. Similar to the U.S., Mexico has a national federal system of government and is made up of 31 states, however Mexico’s national government is given much more power than U.S. or Canadian national governments are given. Mexico’s president initiates almost all federal laws, which are passed with little or no changes. Mexico’s court system has both state and federal levels. In each state there are trial and appellate courts and the federal level includes trial courts, circuit courts of appeal, and a Supreme Court. The Supreme Court is made up of four parts with each handling a different area of law: criminal, administrative, civil, or labor, and each part also contains five justices. A fundamental difference between the law systems of Mexico and the U.S. is that while U.S. attorneys and judges can base many laws on interpretation, in Mexico there are codes in which statutes are set down as their primary source of law since the federal constitution in Mexico is the basis for all laws. The current constitution is the 1917 Political Constitution of the United Mexican States. The Mexican constitution includes economic, social, and cultural rights of the Mexican people and calls for a federal government that takes an active role in promoting those rights. NAFTA lifted strict restrictions on many types of investments made by the U.S. and Canada in Mexico. With the increased interest in Mexican investment, however, Mexico has widely been considered as a permissive “dump” for companies looking to avoid the strict environment laws of the U.S. These industries falsely believe that Mexican ecological laws are not forcefully implemented, but U.S. companies contemplating doing business in Mexico should be aware that enforcement of Mexican environmental laws and regulations has not only become more vigorous since 1988, but it is expected to continue and improve. In only five short years, from 1988-1993, Mexico’s environmental enforcement budget increased from US$6.6 billion to US $77 billion, escalating the number of environmental inspectors in the border area between Mexico and the U.S. from 50 to 200. Environmental compliance inspections resulted in commands closing about 2,000 facilities provisionally for noncompliance. Over 100 facilities were closed permanently, including a large plant for the Mexican government-owned industry that controls the production and sale of petroleum goods all over Mexico, PEMEX. In 1992-1994 Mexican officials performed more than 16,000 assessments of industrial facilities. It was quickly understood that factories located along the U.S.-Mexican border were producing so much pollution that cancer and birth defect rates grew exceedingly high in northern Mexico and U.S. border cities due to the air and water pollution. As a result, the U.S. and Mexico agreed to a widespread plan to clean up environmental contagion along the periphery, and together they gathered a total of about $700 billion to give to programs improving pollution control, augmenting ecological enforcement, and increasing environmental developments. In 1995 Mexico obtained a loan for about $1.8 billion from the World Bank to further strengthen its enforcement of environmental laws in the border area. Two large agreements with the U.S. were formed in conjunction with NAFTA that also contributed to the reduction of border pollution— the American Development Bank (NAD Bank) and a Border Environmental Cooperation Commission (BECC). NAD Banks provide financing for environmental infrastructure in the border area and BECC works with state and local governments, and nongovernmental organizations to offer mechanical and monetary planning. In 1987 Mexico amended its constitution, allowing Congress the authority to enact laws promoting the participation of federal, state, and local authorities in environmental matters and to impose limitations on the use and ownership of land property—this led to the first comprehensive environmental law known as the General Ecology Law, or LGEEPA (1988). The law addresses a broad range of environmental matters including water, air and ground pollution, resource conservation, and environmental enforcement. LGEEPA closely resembles the U.S. statutes: the Clean Air Act, Clean Water Act, and Resource Conservation and Recovery Act, however the Mexican law is provisional and encompasses many issues that come with the growing industrialization of the country—unlike American acts, which were individually formed in response to specific instances. In 1992 the law was amended and the sets of environmental standards were reevaluated, and over one hundred more standards were issued. Mexican states were also delegated the authority to establish local environmental policies. The General Ecology Law was originally administered by SEDUE in the early years, but in 1992 SEDUE was abolished and the Secretariat of Social Development was given the enforcement of the newly restructured General Ecology Law. In 1997 the Secretariat of the Environment, Natural Resources and Fisheries (SEMARNAP) was created, taking the role of enforcement of the law, and is still active today. Mexico’s primary federal environmental agency, SEMARNAP, regulates the law to ensure it is being properly followed and enforced, similar to the United State’s Environmental Protection Agency. SEMARNAP’s primary responsibilities include—enforcing environmental laws and standards; supervising renewable and non-renewable natural resources; forming official standards to maintain Sustainable Development programs; protecting, restoring, and conserving natural resources and the ecological welfare; ensuring environmentally safe management of hazardous materials and non-hazardous waste, air pollution and noise; and granting contracts, licenses, permits and authorizations. To ensure that the law is being thoroughly enforced, SEMARNAP has five decentralized departments that oversee specific areas of environmental law: the National Institute of Ecology (INE), the National water Commission (CAN), the Mexican Institute of Water Technology (IMTA), the Federal Agency for the Protection of the Environment (PROFEPA), and the National Institute of the Fishery (INP). All industrial facilities must comply with Mexico’s environmental registration, licensing, and reporting requirements. A statement describing the faculty’s potential impact on the environment, which is sent to the Attorney General, must supplement the request for an environmental operating license. The Attorney General has the authority based on that statement to require a full environmental impact study to be conducted as a precondition to issuing the license. The General Ecology Law regulates air pollution from both immobile and itinerant sources. For industrial facilities, the law establishes atmospheric air quality standards (Maximum Permanent Levels) that are identical to those in the U.S. EPA’s National Ambient Air Quality Standards. Mexico uses a system that is directed by the federal SEMARNAP, which differs from system used in the U.S. in which the Clean Air Act requires air quality attainment to follow the State Implementation Plans. The environmental law also regulates water pollution from a wide range of actions including: discharge from city and industrial, and agricultural activities, use of pesticides and fertilizers, use of toxic material at manufacturing facilities, solid waste removal, and releases leaching into aquifers. Mexico’s law goes a step further than the U.S. federal environmental law, however, because it also applies to release into groundwater. SEMARNAP is also in the process of developing rules covering wastewater treatment facilities. Mexico’s regulation of hazardous waste is similar to policy in the US. Hazardous waste and raw materials must be stored according to the INE’s regulations. Any place producing wastes considered to be unsafe must get hold of a generator’s license and number from the Attorney General. An “Ecological Waybill” that is used to document the shipment’s contents, its conduct, and its destination must accompany each shipment of hazardous materials. Each industrial facility must also keep a permanent record of all hazardous resources on its grounds and report with Mexican officials every two years. As Mexico quickly evolves and modernizes, a governmental framework exists to protect its environment while continuing industrial progress. Contemporary laws give prominence to Sustainable Development, and state governments take more responsibility for ecological reinforcement than ever before. Many people are quick to believe that Mexico has very loose laws when it comes to the environment without really knowing what environmental laws they enforce. But, the reality is that Mexico’s environmental policies not only resemble those of the U.S., but go beyond U.S. ecological legislation. Mexico’s encircling law better prepares the country for potential environmental problems. 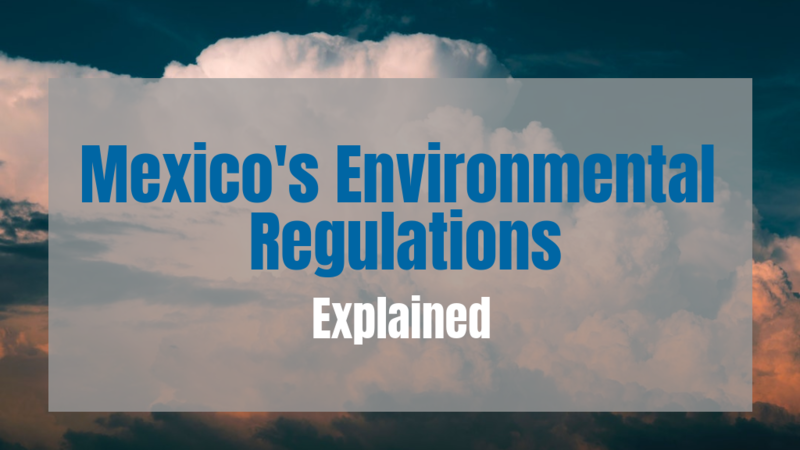 With the strict ecological legislation, businesses in Mexico must now conform to firm and precise federal, state, and local environmental restrictions. Companies should be sensitive to the environmental laws relevant to their conglomerate site. The first Mexican environmental law was broad and only at a federal level with amendments added to the law. More recently, many of the duties have now been delegated to state levels allowing for a closer monitor of environmental threats and changes. All in all, Mexican environmental laws are often overlooked, with many failing to realize the stable structure that was established and built-up in such little time. Federal, state, and local regulations monitor industrialization and modern activity that could impact the environment, improving the health and welfare of Mexican citizens. Mexico’s environmental standards are heading in the direction of those that should be influential and copied, not underestimated.